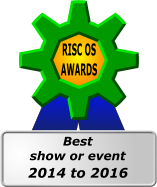 The show will be on Saturday 26th October 2019. 11 AM to 5PM. Tickets cost £5 on the day on the door, under-16s free. 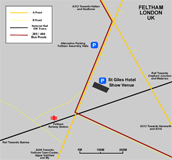 The venue is the St Giles Hotel in Feltham, near Heathrow. This location has excellent transport links for car, bus, train and plane. 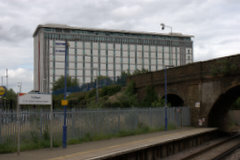 Feltham Station is in London Transport Zone 6, on the Windsor and Eton Riverside to London Waterloo line and the Reading and Ascot to London Waterloo line. The venue is 2 minutes walk from Feltham station. The hotel can be clearly seen from the platform. From London Waterloo, trains leave every 10 minutes and journey time is 30 minutes. From Clapham Junction (platform 6) the journey time is 20 minutes. The 285, 490, 90, H25 and H26 bus routes stop at Feltham station. See the Transport for London website for full times and route details. Hatton Cross on the Piccadilly Line is the nearest tube station, about 2 miles away. Get the 285 or H25 bus to Feltham Station, about 10-15 minutes journey time. Car parking is available at the hotel for visitors to the show. However due to potential overcrowding further parking is available down the road at Feltham Assembly Halls, see map for details. Ignore the first major turning off (signposted Feltham) and take the second exit (Heathrow, Hounslow and Hanwell - A314). This is one mile after the motorway ended and after the road has returned to ground level. Bear left (you have to) off the slip road and follow the road (Hounslow Road) for approx half a mile to a crossroads with traffic lights. Turn left - following the sign to Heathrow. A further half mile brings you to a multiway junction, again with lights, from which you should see the tower of St Giles' Hotel over the rooftops ahead. Bear right at this junction, still following the sign for Heathrow. Again, half a mile brings you to another set of light where you turn left. the hotel car park entrance is about 200 yds on your left - just before the road rises to cross the railway line. 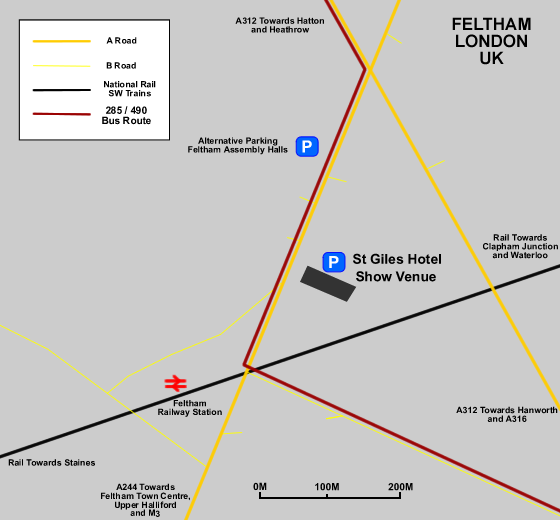 Further directions are available from the St Giles Hotel website. From Heathrow terminals 1, 2 and 3, take the 285 bus from the Central Bus Station to Feltham Station. From Heathrow terminals 4 and 5, take the 490 bus to Feltham Station. Both buses stop outside the hotel (Fern Grove stop) just before Feltham Station or get off at Feltham Station (2-minute walk). For visitors arriving from Gatwick airport, do NOT use the Gatwick Express, take the standard train service to Clapham Junction and change for a train to Feltham from platform 6.